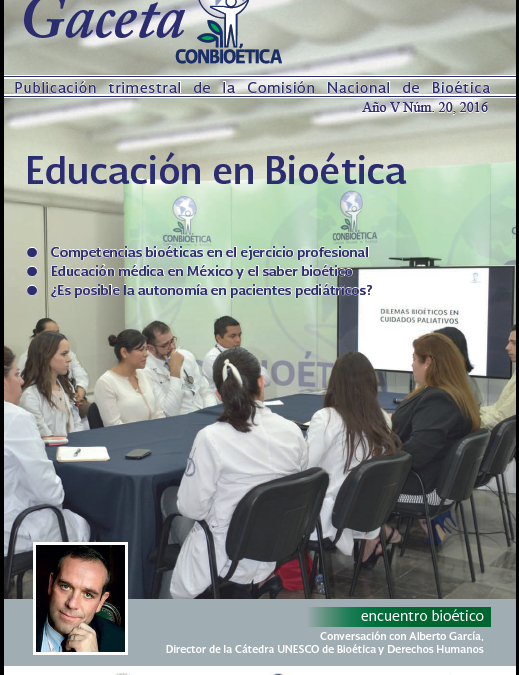 UNESCO Chair Director Alberto García was interviewed in the 20th edition of the Gaceta Conbioética, the magazine of Mexico’s National Commission of Bioethics. García highlights the social dimension of Bioethics, often forget in widespread individualistic approaches. He goes on to explain the history of the Chair and its ongoing mission of fostering the art of convergence and cooperation in global bioethics. 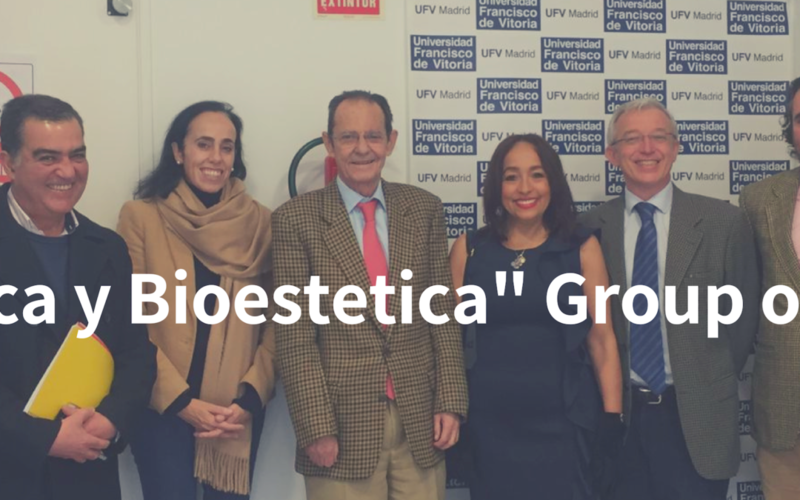 García also recalls the Chair’s commitment to the Universal Declaration on Bioethics and Human Rights and the fittingness of its location in Rome, the site of numerous human rights agreements. He concludes with a description of the Chair’s seven main areas of interest, with an extended account of achievements in the areas of Bioethics, Multiculturalism, and Religion, Neurobioethics; and Bioethics Global Art. To read the full interview, please click here. 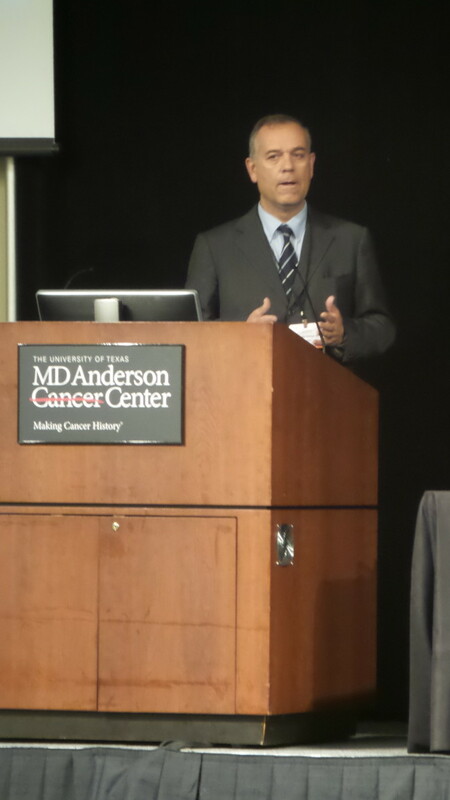 The University of Texas MD Anderson Cancer Center was the host of the Fifth International Bioethics, Multiculturalism, and Religion Workshop and Conference. During three days Bioethical thought leaders from six major religions and ten countries gathered to analyze and discuss the “Bioethical Challenges in Neurogenomics from an Interreligious and Multicultural Perspective.” Previous workshops have successfully taken place in Jerusalem, Rome, Hong Kong and Mexico with the participation of more than 70 prestigious interdisciplinary scholars from around the world. 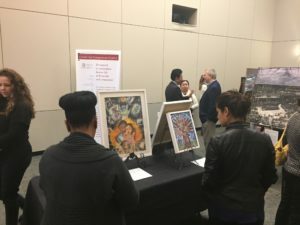 By gathering experts from Buddhism, Christianity, Confucianism, Hinduism, Islam, and Judaism, a rare space for dialogue was created where an atmosphere of friendship and respect reigned. Such dialogue and encounter allowed the participants to analyze the current bioethical issues posted by Neurogenomics, which is presently at a very exciting crossroad since recent discoveries have challenged the classic model of gene organization and information flow, and for these reasons are improving our self-understanding by providing biological descriptions of how man acts. 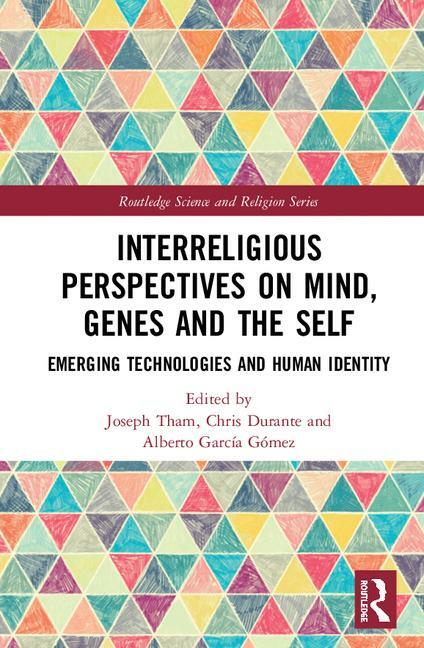 However, the bioethical imperative remains to articulate how man should act within the relevant phenomenological dimensions described from the rich blend of multi-cultural and inter-religious dialogue. Dr. Ellen Zhang commented that “Buddhism will question scientism that reduces everything to materials while embracing science as a skillful means to help the world to be a better place.” The conversation was enriched by several topics highlighted by the Scholars like the relationship between Neurogenomics and the Islamic Law posted by Dr. Aasim Padela; the resource allocation problem noted by Dr. Mirko Garasic; and the analysis of the human afterlife form a Hinduist perspective explained by Dr. Deepak Sarma. 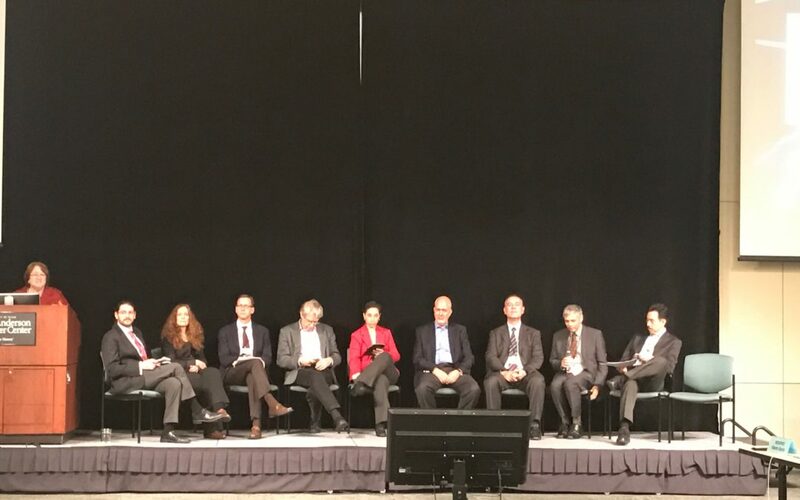 With a great interest the experts expressed their concerns in setting up the limits to protect the dignity of the human person according to their own cultural/religious perspective. Dr. Leo Goodstadt, professor at Oxford University, explained in detail the human genome during his presentation. There was also an engaging talk on Public Health by Dr. Umair A. Shah, Executive Director Harris County Public Health Houston, Texas. These presentations where open to the public and encouraged participation of the outside community including public authorities, doctors and other healthcare personnel, teachers, university scholars and students. These talks also provided the scientific tools needed to advance the high level ethical reasoning of the Scholars. Dr. Chris Durante, Professor of Religious Studies at the New York University, set the tone of the various sessions as academic coordinator of this workshop. Following his indications, participants sought to understand each religious tradition and their manner of arriving at moral norms without engaging in ill-informed, harsh criticisms. Without ignoring their obvious ethical differences, emphasis was placed upon finding bridge concepts that could stimulate continued dialogue and practical collaboration in realizing shared values. To enlighten not only the mind, but the also the senses, Chair of the Bioethics Art Competition Yvonne Denbina, presented the winning pieces of 2011, 2013, 2015 of the Bioethics Art competition. The images transported the visitors to a deeper understanding of bioethics by the representation of the artists speaking through their images and words, to view the winning pieces visit the website: http://www.bioethicsart.org/. In this site, the information for the 2017 competition titled: A Portrait of Mother Earth and the Challenge of Human Ecology, is available. 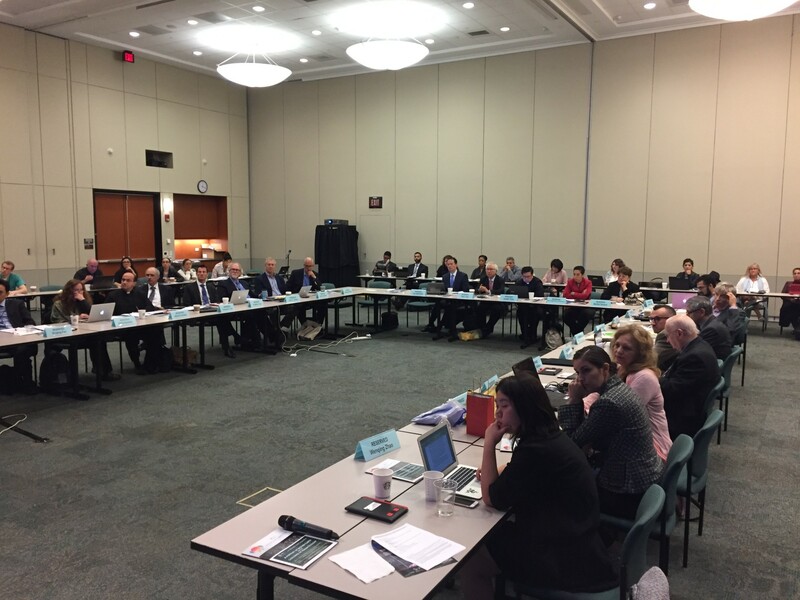 The challenging experience of navigating through a complicated and highly technical topic using the lenses of different religious perspectives enabled the participants to share values and attitudes that promoted the dialogue, which fulfilled UNESCO Chair goal of “Fostering the Art of Convergence and Cooperation in Global Ethics.” To continue the international discussion on the various themes raised at the Houston gathering and to prepare for the 2018 workshop and conference, the Fellows participate in the ongoing blog: unescobiochair.wordpress.com, where interested thinkers are welcome to participate and contribute. UNESCO Chair Director Alberto Garcia recently participated at an annual gathering of the Fondazione Marianna, an organization devoted to the artistic works that promote human rights. Garcia functions as a member of the organization’s Advisory Board. The foundation shares the Chair’s unique commitment to Bioethics and Art, as particularly expressed in its various Global Art Competitions. Pinuccia Pitti, artist and humanitarian worker, has dedicated herself prodigiously for decades through personal testimony to the dissemination and the protection of human rights in all of their institutional, moral and social aspects. She has utilized the world of communications and her work in order to draw the attention and interest of large sectors of public opinion. In fact, the Foundation relies on the circulation of a monthly calendar that Pitti herself illustrated, to stimulate, through aesthetic enjoyment, knowledge and empathy for the principles sanctioned in the Universal Charter of Art. In line with the precepts of the Universal Declaration, Pinuccia Pitti has placed personal industriousness and the capacity of private associations, considered as valid as are the public and business sector, in the center of everyday cultural life. The artistic event of the new calendar, sponsored by the Foundation and curated by its founder Pinuccia Pitti, makes use of the balance of symbolic values, represented by the line graphics and pictorial coloring, so that the artistic order agrees with the order of ideas. While the color establishes contact with the atmosphere, resulting in the sensation described by d’Annunzio (“The color is the effort of matter to become light”), the sign expresses what is perennial and gives character to the inalienable values of life. preceding the General Assembly Hall. For security reasons, your guest’s name must be provided. A photo ID will be required to enter. Click below to RSVP. Space is limited.